Have you had any life changes since you last updated your estate plan? Have you gotten married? Have you had a child? Have you recently moved from another state? All of these life changes may impact you estate planning which require your will or trust to be updated. Is the person you selected to be executor the person you would select today? If circumstances have changed and you now question whether this person is responsible and trustworthy you should consider updating your will or trust. Also, if you named one person, you may want to choose co-trustees who would work together. You may also want to set up additional levels in case your first choice of trustee is unable to execute. Is there a particular family heirloom or other item or property that you want to go to a specific person? You might now want to update your will or trust to make sure that happens. Your financial power of attorney will act for you in a wide array of financial and business matters. It is essential that you think about the person you named and make sure that you still consider them the best choice for you. Review your health care power of attorney to make sure that the person (or people) you named is someone you still trust to make major medical decisions for you. If your health care power of attorney lives in another city or state, you might want to consider naming someone local in case of an emergency. While technically not a part of your estate plan, be sure to assess the choices you made as beneficiaries of your life insurance and retirement plans. Many people forget to update these after a divorce and you certainly don’t want your ex-spouse to inherit those funds. This checklist should take you quickly through some of the most important parts of your estate plan here in Roselle, IL. If you need to update them, don’t delay. Procrastination is not your friend when it comes to estate planning! Most people recognize that DuPage County estate planning lawyers work hard to protect their clients’ assets to maximize an estate after the individual’s death, but this is really only one aspect of the job. Estate planning lawyers help families and individuals to plan for their own futures with retirement planning, help with investment strategies to increase personal wealth, and provide legal advice on lowering the amount of taxes their clients are required to pay. A Qualified Personal Residence Trust is a tool that can play into each of these concerns. Often referred to as a QPRT, this allows a client to transfer ownership of a personal residence to his or her children while retaining the right to live in the home rent-free for an agreed upon period of time. The parent basically has free-rein over the house, but it legally belongs to the children. Estate planning lawyers in DuPage County might suggest this option to clients who are seeking ways to lower the value of their taxable estate. When the parent passes away, the home isn’t subject to estate taxes because the trust is not considered a part of the taxable estate. It can be a pretty great deal, especially since it also affects gift taxes positively, with less taxes owed overall due to the decreased value of real estate that comes with the stipulation that someone else can live there without paying rent. While the parents are in residence, they are responsible for upkeep of the property. Whether it’s regular maintenance, remodeling, or real estate taxes, the beneficiaries of the trust are off the hook during the time the parents remain in the home. Money paid for these purposes is considered to be a gift to the trust. These things can get a little complicated, but a good DuPage County estate planning lawyer will be able to thoroughly discuss the advantages and disadvantages of a QPRT. Speaking of disadvantages, there are some to consider. For example, if the property appreciates in value, there may be capital gains taxes for the children to pay. Additionally, the trust won’t lower the taxable estate value if the parent passes away before the agreed upon term has expired. As mentioned, the QPRT is a tool that an estate planning lawyer may suggest in order to fulfill multiple needs: planning for retirement, lowering taxes, investing, etc. It’s not the right choice for every family situation, but it is something worth considering with your DuPage County lawyer. If you are interested in learning more about QPRTs and other estate planning strategies, please contact us at 630-908-2752 or s.haugh@haughlawgroup.com to set up a consultation. An unexpectedly common problem Schaumburg estate planning lawyers encounter is how the proceeds of an estate are handled when the beneficiary gets divorced. We don’t want to think of our children dealing with the pain of a divorce, but losing the inheritance you left behind would certainly pour salt in the wound. That’s why more estate planning lawyers are working to help clients ensure that their children get what should rightfully be theirs. Each state has its own rules regarding what happens to inherited funds in the case of a divorce, so you want to be sure to do your planning with a knowledgeable Schaumburg estate planning lawyer. While the need to build in some safety mechanisms may be more obvious when you don’t like your son- or daughter-in-law, it’s important to remember that the future is uncertain and the only constant is change. Having a contingency plan in place just makes sense. Why is this a big deal? Take the example of a fictitious Schaumburg couple. The wife inherits $100,000 from her parents. According to estate planning law in many states, the $100,000 will probably be protected in the case of a divorce and will revert to the wife. On the other hand, if that money had been invested in some way that caused it to grow, anything over the initial $100,000 could be considered marital property and be subject to divorce procedures. One of the ways that an estate planning lawyer in Schaumburg will likely suggest avoiding this outcome would be to create a well thought-out trust. In order to do this, the trust would be structured in a way that allows the child ongoing access to the funds but also limits his or her “ownership” of them, therefore keeping them from becoming marital property. There are different means an estate planning lawyer can use to reach this goal, such as naming the child as a trustee or co-trustee. Trustees generally have control of the funds but not out-and-out ownership. Additionally, a good Schaumburg estate planning lawyer may advise you to specify how the funds in the trust may be used, for example for educational purposes, although there are several reasonable ways to structure these requirements. One thing to avoid is a situation where the child receives regularly scheduled distributions, as that money could be considered marital property. Instead, the child should need to request funds from a trustee who is predisposed to provide them. As with any area of Schaumburg estate planning law, the topic can be pretty complex, but knowing the right questions to ask of your lawyer can make a big difference in being on the right track. DuPage County Estate Planning Lawyer: What happens to your mortgage after you die? When setting up an estate plan, most people are concerned with what will happen to their belongings: money, jewelry, house, etc. But little thought is ever given to what will happen to their debts when they pass away, notably their mortgage. The simple answer to that question is that after you die, the mortgage belongs to whoever inherits your house. The complications arise when it comes time to determine how exactly the mortgage will be paid off. Below are some common scenarios that DuPage County estate planning attorneys have seen when a person dies while holding a mortgage. Your estate pays off the mortgage. This may be the most desirable scenario, though it can only occur through careful legal and financial planning. In order for the estate to pay off the mortgage, the estate must of course have enough assets to cover the debt. This may leave your beneficiaries with less cash distributions, but they will own the house free and clear. It is possible to make a provision in your Last Will or Trust to have the mortgage paid through estate or trust assets, but it is recommended that you consult with a DuPage County estate planning attorney to determine what your situation is and how to best address it. Your beneficiaries pay off the mortgage. Of course, beneficiaries may already have mortgages of their own, so this could lead to some complications. If the beneficiaries are willing and able, they may take over the monthly mortgage payments for your house. In this case, your beneficiaries could refinance to get a better interest rate on the mortgage. If your beneficiaries already own their own home and have a mortgage, they could sell either their home or the inherited home to pay off the respective mortgages. If the property is worth less than the value of the mortgage, confer with the lender to see if a short sale is possible. If the lender agrees to a short sale, the home would be sold for less than the value of the debt, but the estate would not be held liable for the difference or loss. You can discuss these possibilities with a DuPage County estate planning lawyer to determine what may be the best course of action to take. It is important to review both assets and debts with your DuPage County estate planning attorney when forming your estate plan. Please contact us immediately at (630)908-2752 to set up a consultation so we may review your estate planning options. Comments Off on DuPage County Estate Planning Lawyer: What happens to your mortgage after you die? Inheriting an IRA can be a financial blessing but you have to be extremely careful about withdrawing the funds. There are a number of mistakes you can make that can result in a missed opportunity for tax-deferred growth, or worse, a huge tax bill. Luckily, surviving spouses have some leeway. It’s still tricky to transfer from spouse to spouse. But the rules for spouses are different than non-spouses. If you have more than one child, it may seem logical to name the estate as beneficiary. This is not always a good idea. 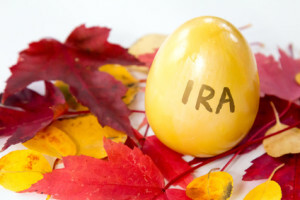 In this case, your children will be required to take all of the money out of the IRA by the end of the fifth year after your death – missing the opportunity to accumulate interest and enjoy the tax sheltering benefit. Owners of traditional IRAs must start taking the required minimum distribution (RMD) when they turn 70 ½. Non-spouse beneficiaries must start taking RMDs upon inheriting. This means you can’t leave the entire amount in the account, allowing it to draw interest. The penalty for not taking RMDs on time is steep: A full 50% penalty on the amount that should have been withdrawn for the year! Unfortunately, non-spouse beneficiaries can’t roll an inherited IRA into their own IRA. A separate account Inherited IRA must be set up and titled so that it includes the decedent’s name, the name of the person inheriting, and an indication of the purpose of the IRA. For example, it might say, “Rhonda Smith (deceased January 7, 2015) IRA for the benefit of Roy Smith.” If the account is split among beneficiaries, the original IRA must be split into separate IRAs and each one must be titled in the same manner. To avoid this pitfall, name a separate share trust drafted by an experienced estate planning attorney to qualify as a permissible beneficiary of the IRA ( or your children directly if asset protection is not important to you or your children), and not the estate. By doing so, they will have a lot more flexibility. They can take annual distributions based on their own life expectancy which allows them to leave the money in the account and defer taxes. Roth (not traditional) IRAs can usually be withdrawn tax-free. But, your beneficiaries will be prohibited from depositing them into their own IRAs and they’ll have to pay taxes on the whole amount. The issues above are just some of the traps you can fall into when inheriting an IRA. When it comes to transferring IRAs, it is critical to seek the advice of a qualified, experienced estate attorney in DuPage County. They can help you decide whether or not to withdraw the funds or set up an Inherited IRA. If you have questions about how to inherit an IRA or if you want to make sure the beneficiaries on your IRA are set up correctly, give our DuPage County estate planning law firm a call at (630) 908-2752 for assistance.